Nifty opened flat to positive and after making the highs 6738 within the first few minutes of trade saw selling pressure and the index dipped with each passing hour and closed near the lows at 6694.80, miniscule loss of 1.60 points. On a week on week basis the index lost 87.95 points or approx 1.3%. The broader market though was just positive, with 744 advances to 722 declines. Expected range till before Election result seems to be 6500-7000. Call option 6800-7100 added 5.36 lacs huge amount of OI with small profit booking at 7200 strike price. 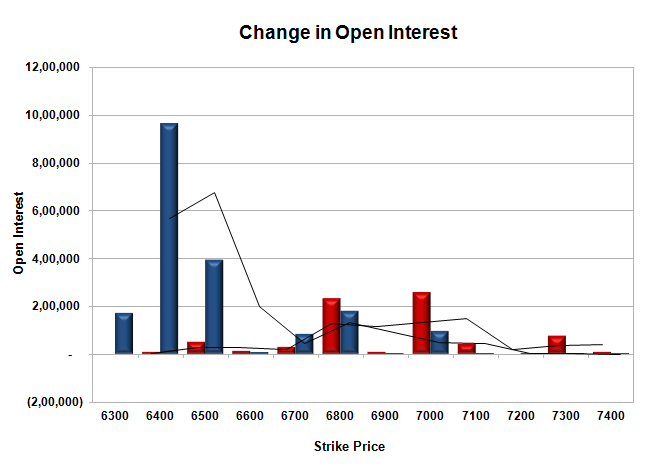 Put option 7000-6300 added 18.98 lacs huge amount of OI with not much change in other strike prices. Nifty Open Interest is at 1,28,62,600 down by 98,100, with decrease in price, most probably long liquidation. Bank Nifty Open Interest is at 15,20,375 up by 31,125, with decrease in price, most probably short build-up. FII’s sold huge 3.57 lacs Futures, mostly short long liquidation as their net OI decreased by 1309 contracts (includes 32305 longs to 39440 shorts for the day) and the average price per contract comes to around 6687.40. FII’s future open contract as on date is 257649. PCR Open Interest (Volume) is at 1.136. 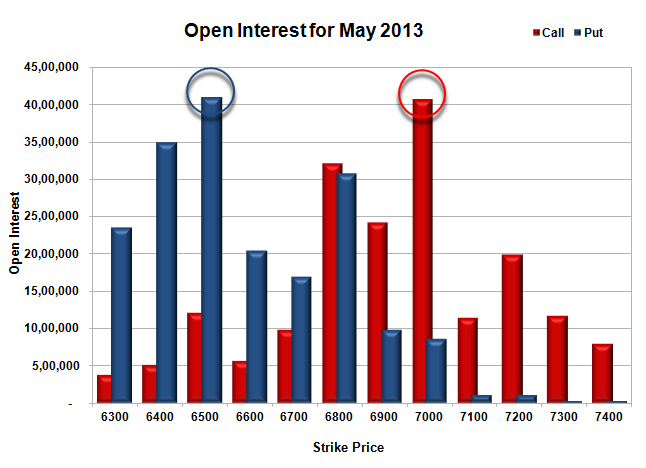 Initial support still at 6700, with OI of just 16.90 lacs and below that at 6500 with highest OI of 41.01 lacs. Initial resistance at 6800 with OI of 32.18 lacs and above that at 7000 with huge OI of 40.76 lacs. 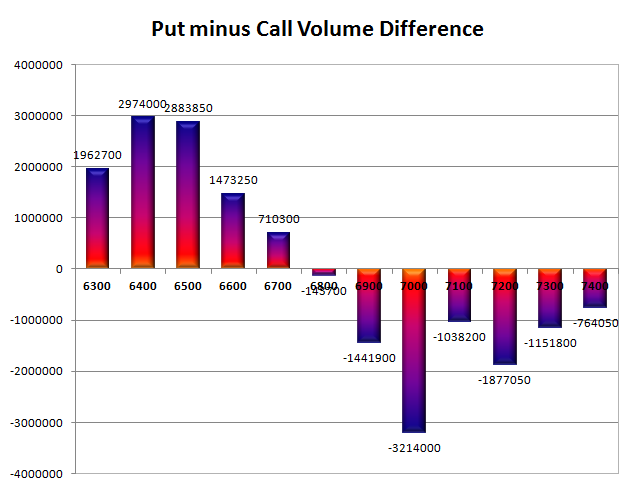 Day Range as per Option Table is 6653 - 6757 and as per VIX is 6579 - 6811 with 6707 as the Pivot.